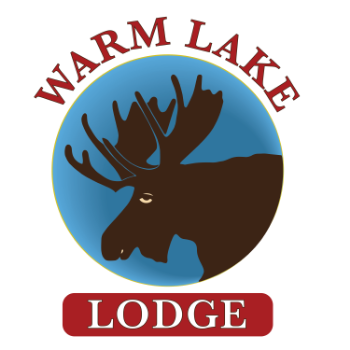 Warm Lake Lodge is 26 miles East of Cascade, Idaho. Warm Lake is the largest natural lake in the Boise National Forest at an elevation of 5,300 feet above sea level, and it’s pristine location is picture perfect for any outdoor enthusiast. This location has been extremely popular for camping, fishing, hunting, hiking, and so much more! Wildlife in the area are active and include an abundance of moose, mule deer, black bear, elk, fox, and wolves. Large birds are present around the lake and include bald eagles and osprey. The fishing at Warm Lake is plentiful and contain rainbow, brook, lake, and bull trout as well as mountain whitefish and Kokanee salmon. Warm Lake Lodge & Resort was established in 1911 and is on Idaho’s national historic register. It is a family-friendly atmosphere and offers a restaurant and bar along with rental cabins. We also provide five small dry campsites just 250 yards from the shore of the lake recommended for tents and small bumper pull trailers less then 24ft long-parking limited. The lodge and cabins are currently under renovation and will be slated to be open to the public, summer of 2019. Please follow us on and/or for future events, promotions, status of our renovation, along with dates of our grand opening!